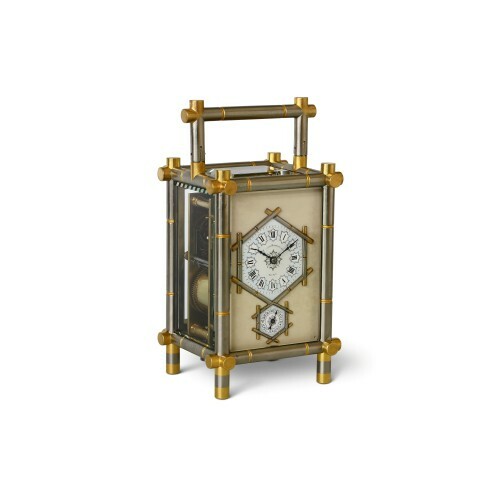 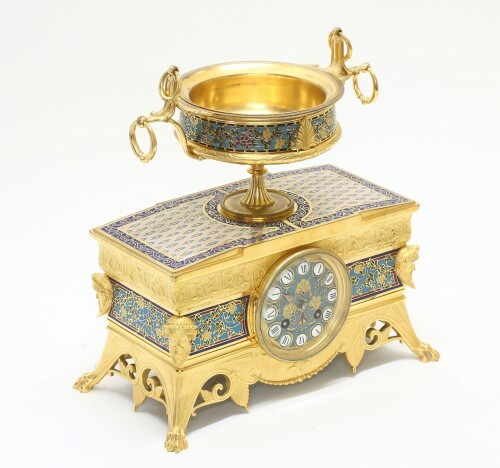 Ferdinand BARBEDIENNE and Louis-Constant SÉVIN, orientalist garniture, circa 1860, gilt bronze and cloisonné enamel garniture of orientalist inspiration, rectangular-shaped case clock with four lions’ paws, and four Assyrian-type men’s masks on the corners, and surmounted by a large offerings’ cup with side handles. 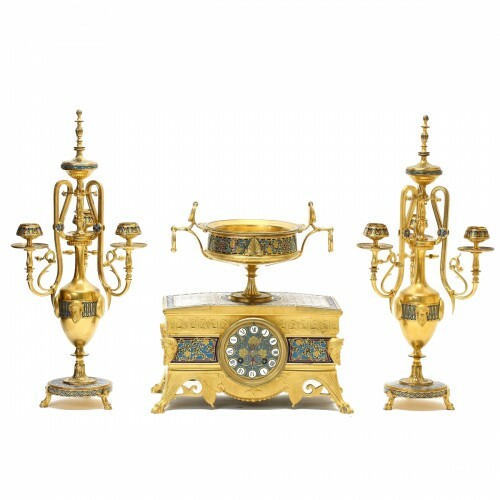 The two candelabra on the sides with similar Assyrian-type men’s masks, shields and other Assyrian- or ancient Greek-inspired decorations, three branches for the candles. 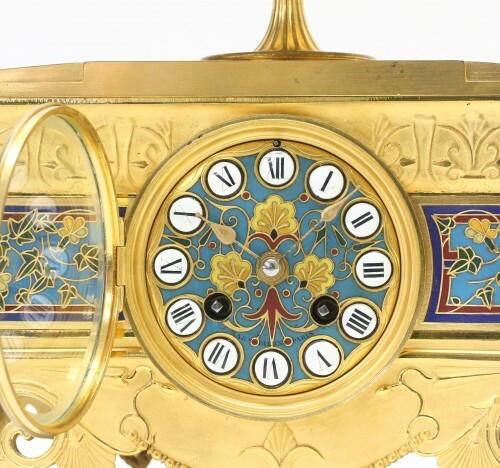 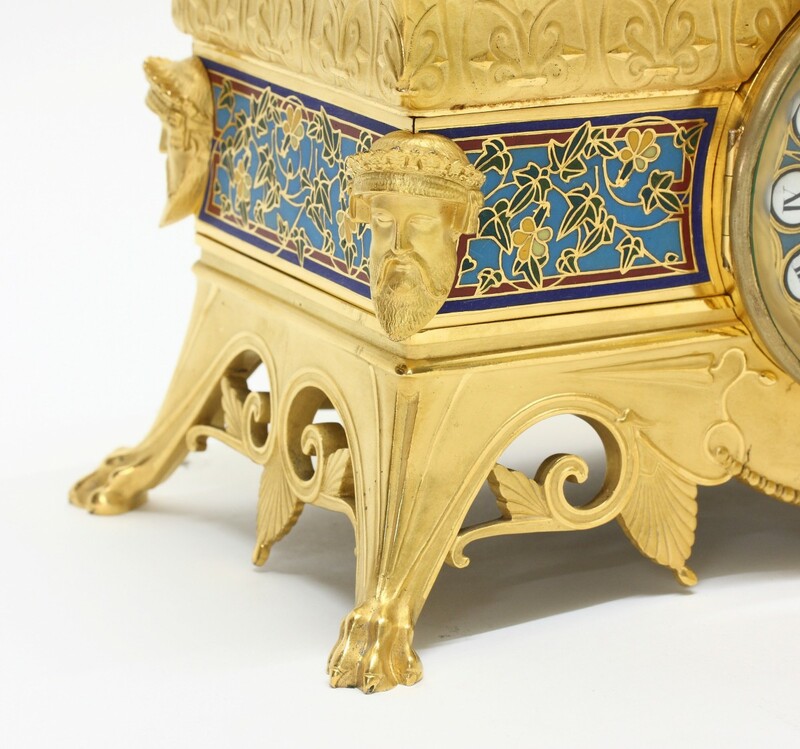 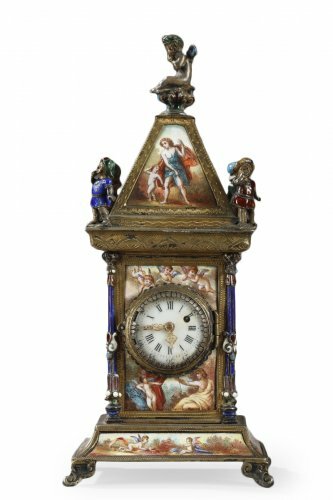 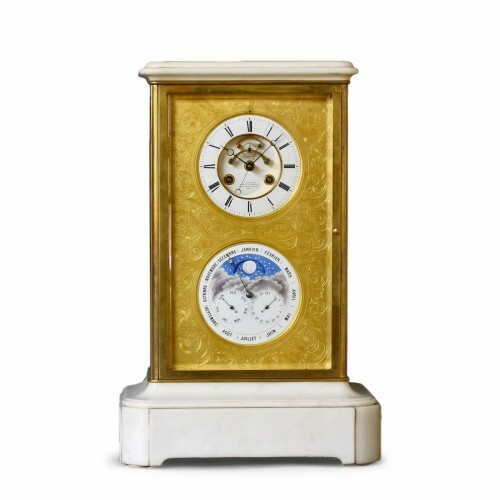 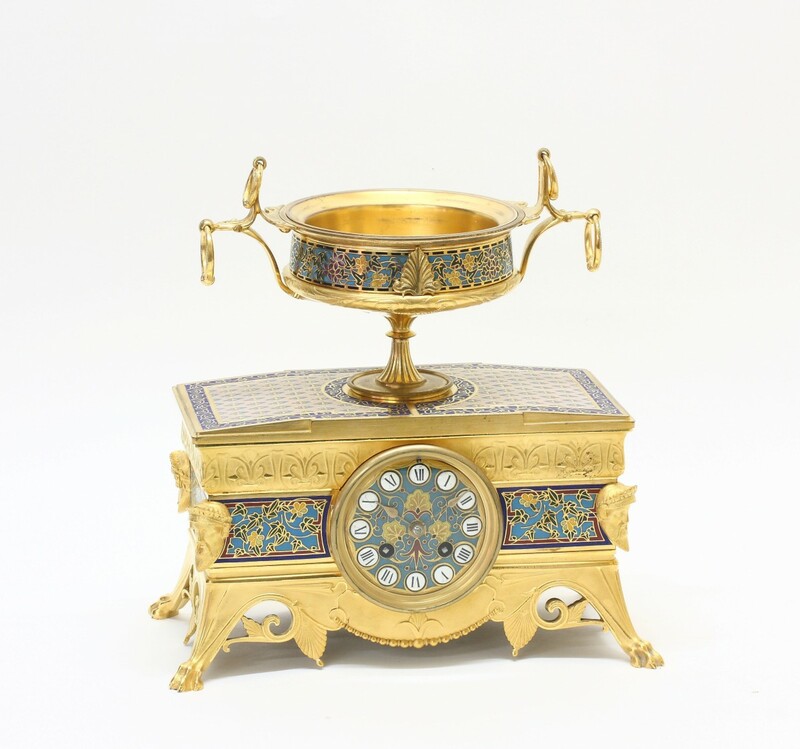 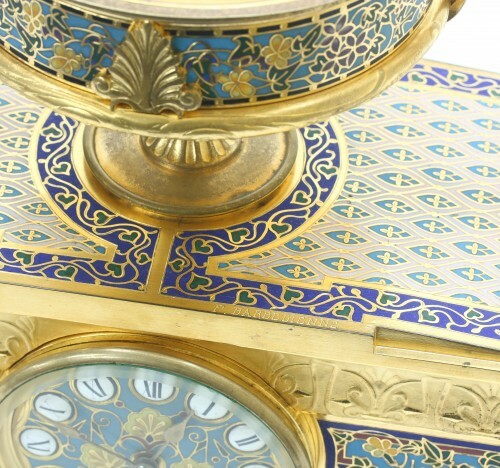 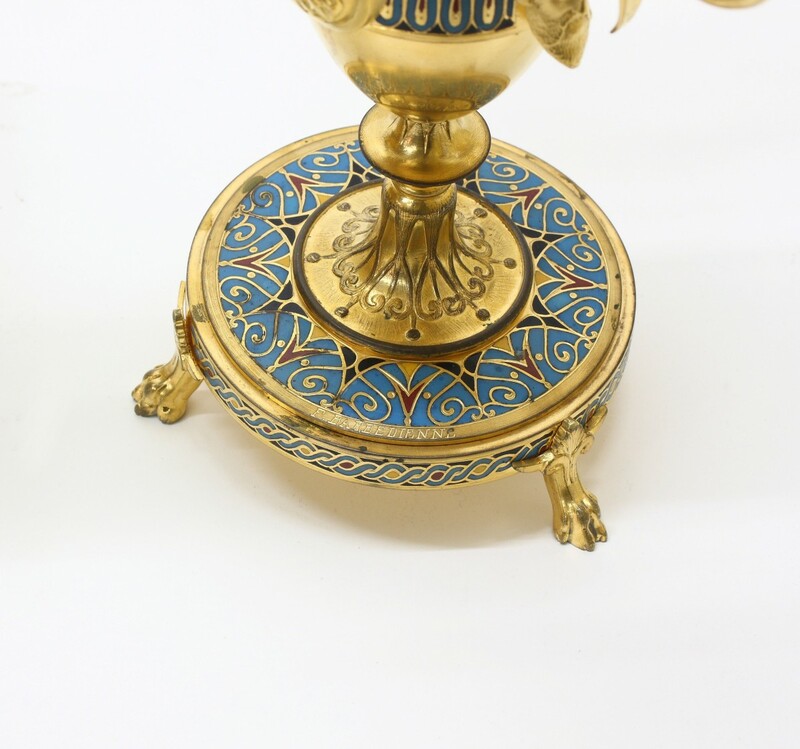 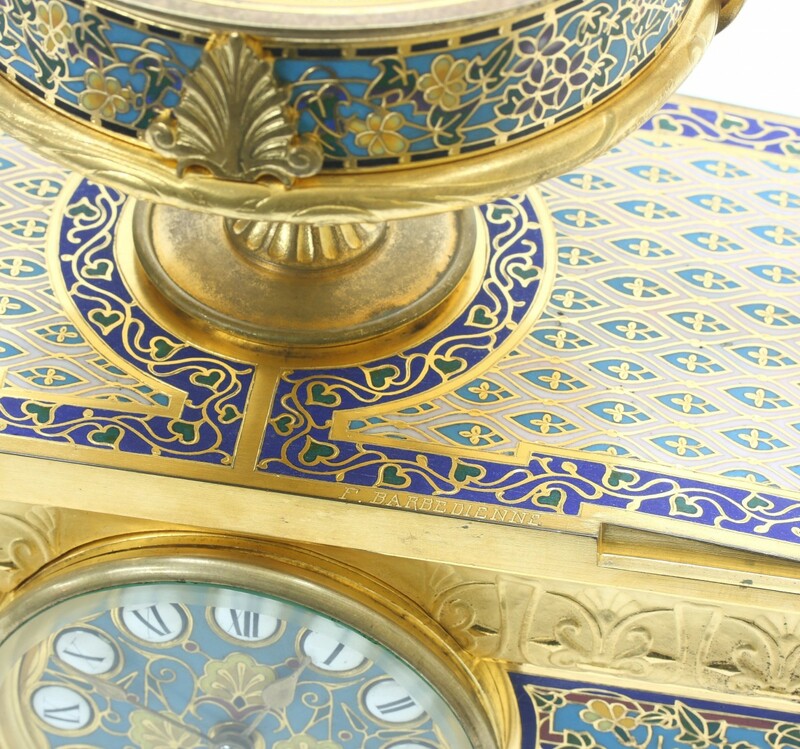 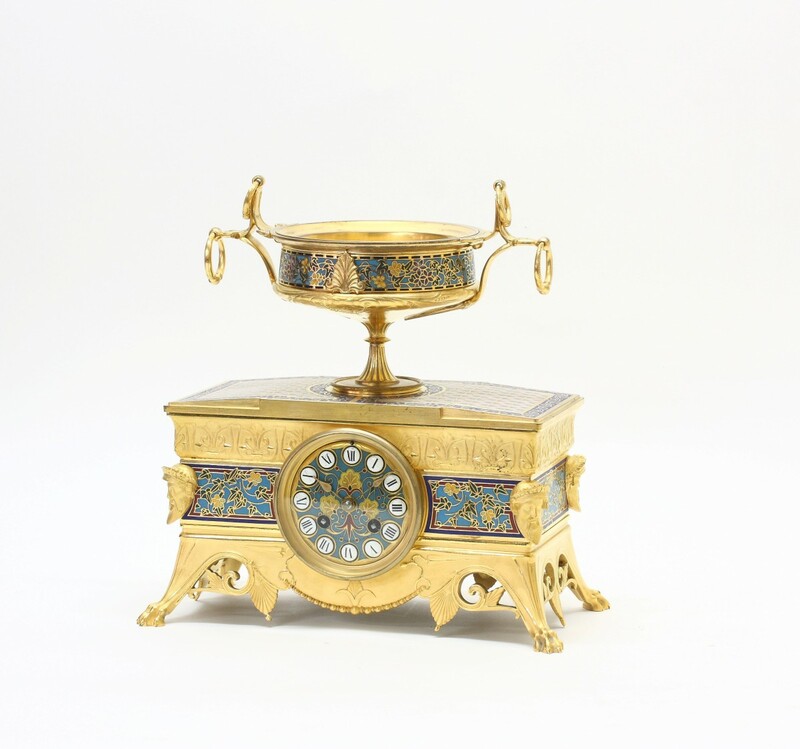 Numerous cloisonné enamel decorations on large surfaces, with several signatures of F. BARBEDIENNE on the top of the clock, the dial and both candelabra. 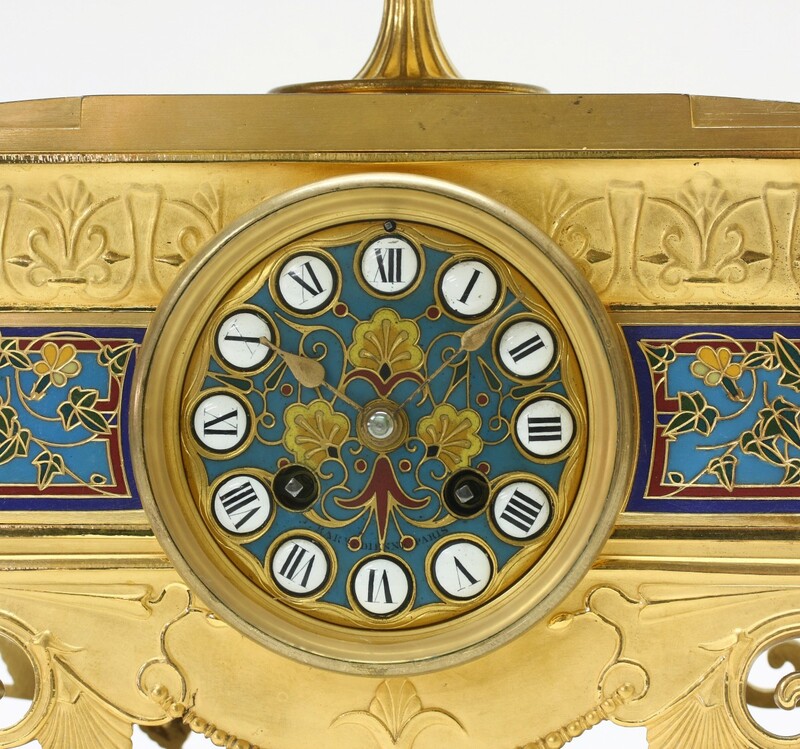 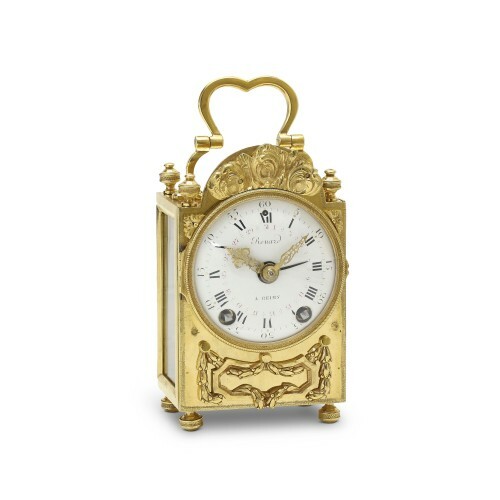 The dial also in cloisonné enamel, with the Roman hour numerals as separate medallions, spade gilt hands. 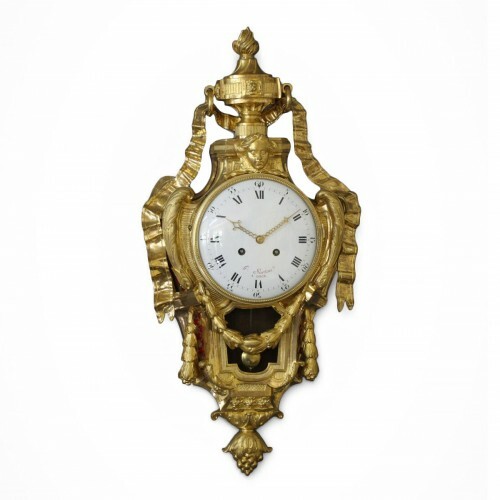 French Paris movement, made and signed Ch. 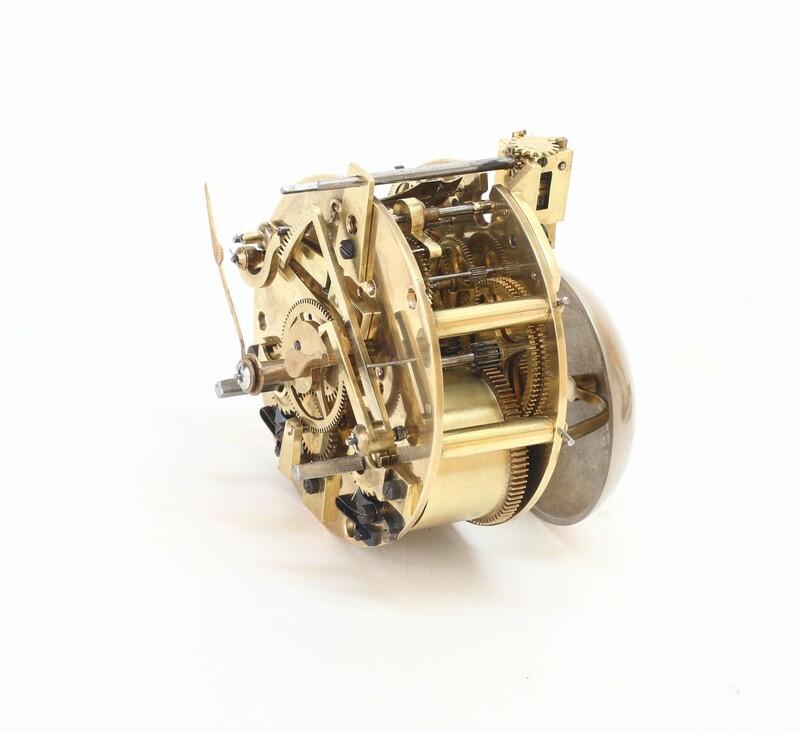 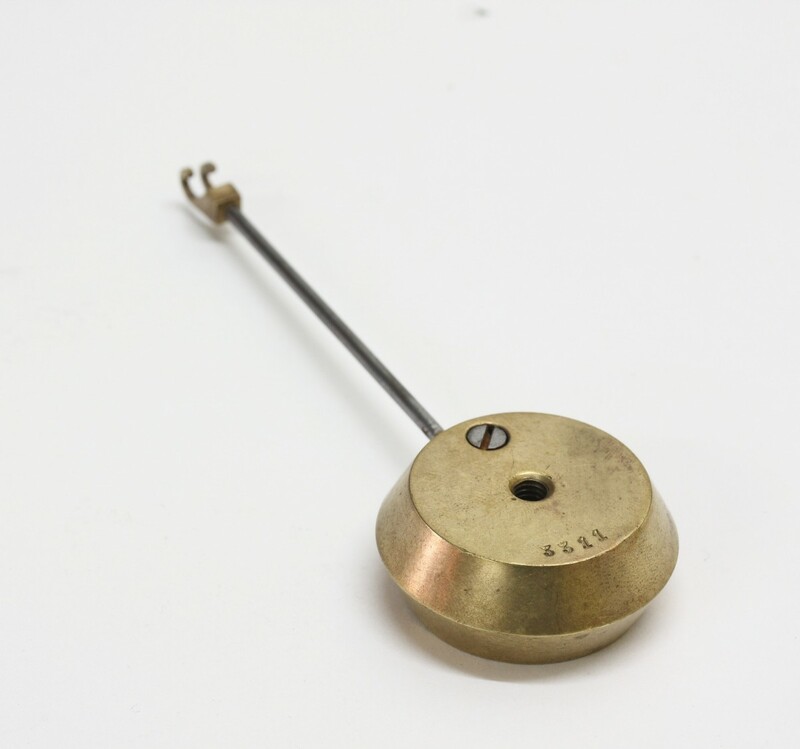 Boye, with pendulum and movement bearing the same 3311 serial movement, half-rollers Brocot escapement with steel suspension, hours and half-hours rack strike on a silvered bell. 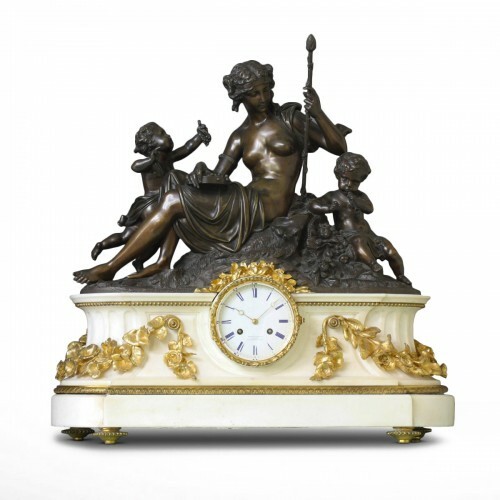 Louis-Constant Sévin was a French ornementalist sculptor and was the closest associate of the bronzier Ferdinand Barbedienne from 1855 until 1888. 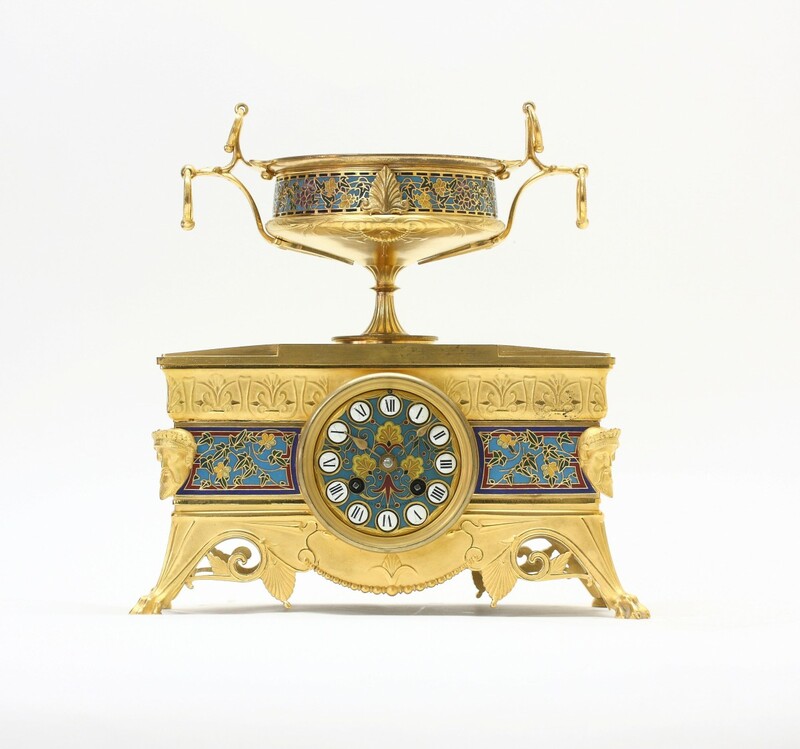 He played an important role in bringing together Art and Industry in the 19th Century Decorative Arts. 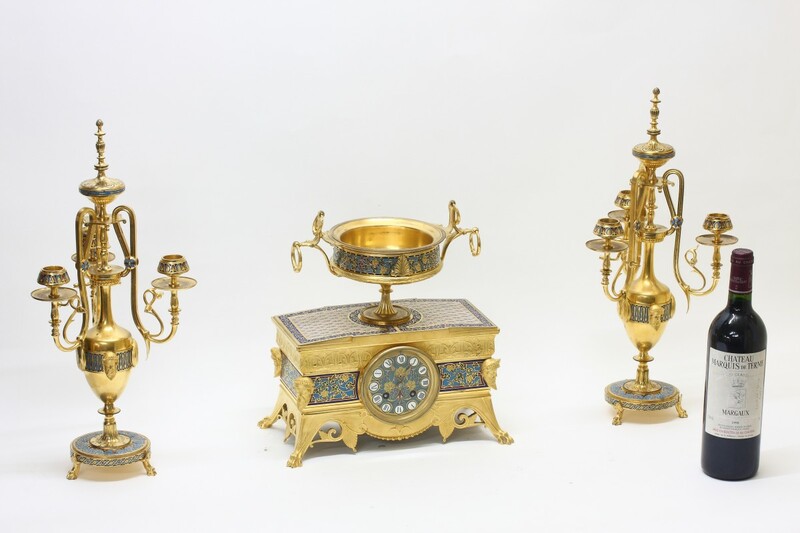 He was extremely prolific and literally produced hundreds of models, a large number of them of orientalist inspiration. 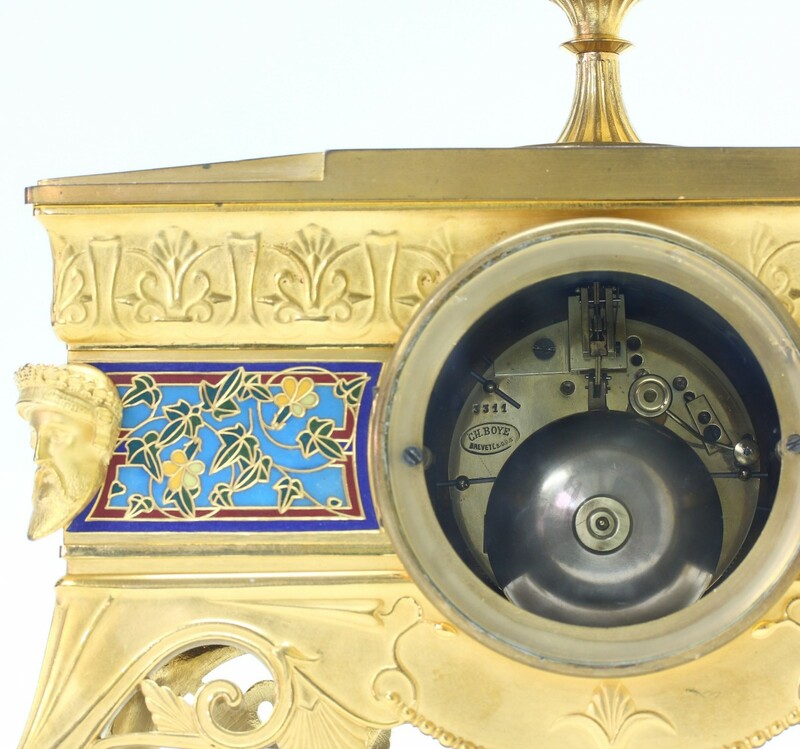 His close association with Ferdinand Barbedienne was within his ideas of creating beauty in an industrial environment, “Beauty within Usefulness”. 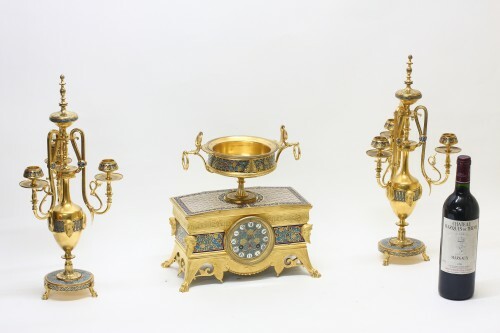 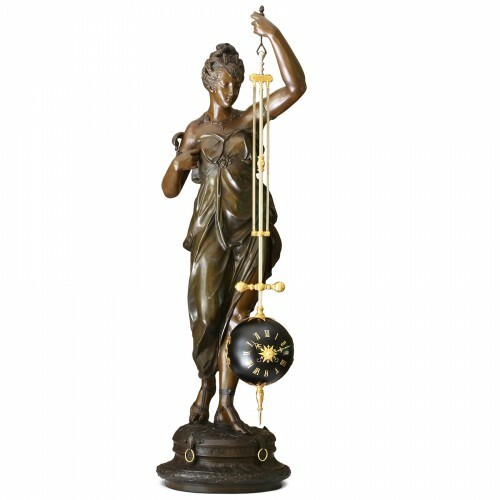 With the help of the chafer Désiré Attarge (1820-1878), Louis-Constant Sévin universally established the reputation of the Barbedienne workshops in the creation of bronzes in the decorative arts, and was widely acclaimed at several universal exhibitions between 1855 and 1889.